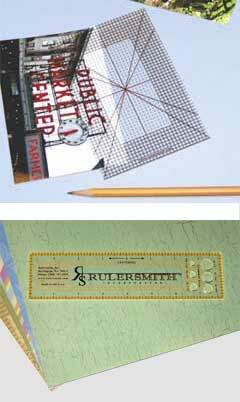 Rulersmith, Inc. produces high-quality laser-cut acrylic rulers and templates for scrapbooking and papercraft. If it's precision that you're looking for then you've come to the right place. Our scrapbooking and papercraft rulers are manufactured to the highest standards to ensure accuracy and quality. If you need a scrapbooking ruler manufactured then give us a call to get the process started.